Size: 2,300 sq. ft. "213.68 m2"
HILLSIDE HOME WITH A SCENIC TROPICAL SETTING. EASY ACCESS LOCATION, minutes from the highway, beaches and accessible by a 2-wheel drive vehicle. IMPRESSIVE APPROACH…. This 3.8-acre estate has a GATED ENTRY, as well as a concrete driveway, leading to a private, and peaceful retreat. YOU'RE SURROUNDED by beautiful landscaped grounds, complete with a family-sized, tiled swimming pool, with "Wow-factor" river and ocean views. OPEN CONCEPT - indoor living room, beside a fully equipped kitchen, offering everything a cook could want – microwave, stove, oven, and dishwasher all within reach. TROPICALLY DESIGNED…The spacious covered terrace will be the outdoor gathering area, where you will enjoy refreshing breezes, dazzling views of the beautiful blue Pacific Ocean, Isla Garza, Rio Terraba, and of course SPECTACULAR SUNSETS! ENDLESS POSSIBILITIES! Perfect layout for either a BED & BREAKFAST, or a VACATION RENTAL home, as each bedroom has a PRIVATE entrance accessed from the outside covered terrace. More than a home; a LIFESTYLE in the SOUTH PACIFIC. 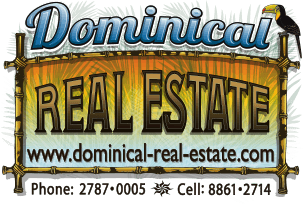 Call us today, to see your future home in PARADISE!